Germany can book their place in a third successive UEFA European Championship quarter-final when they take on Slovakia in Lille on Sunday (kick-off:18:00CEST/16:00GMT). The world champions have only scored three times so far in France, but progressed to the Round of 16 after topping Group C without conceding a single goal. 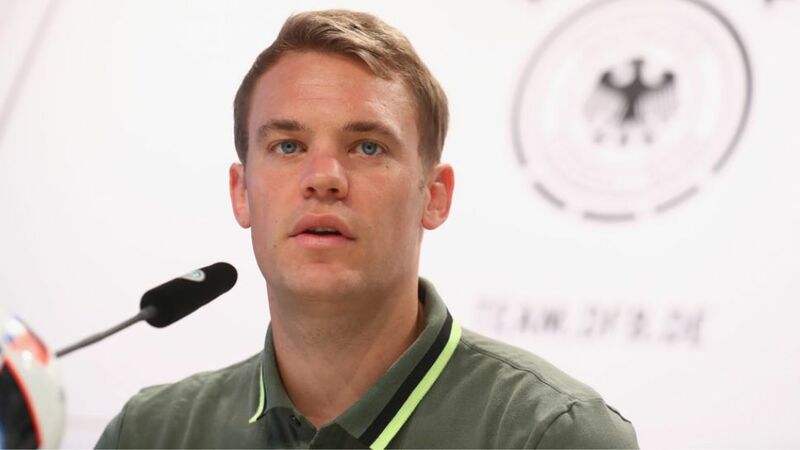 "We've got to keep that record going, but we all know we could concede at some point," admitted FC Bayern München and Germany no.1 Manuel Neuer. "We've put in a lot of effort and we've defended very well as a team. Slovakia are deservedly through to the last 16, but a convincing win would really does us good." Germany recorded a narrow 1-0 victory over Northern Ireland last time out, but their overall performance was another step in the right direction following a pair of underwhelming displays against Ukraine and Poland. Bayern starlet Joshua Kimmich, in particular, was a revelation at right-back and will almost certainly start at the Stade Pierre-Mauroy. "It's great [to be compared to Philipp Lahm], but I've only played at right-back the once," 21-year-old Kimmich explained. He's the best right-back in the world for me, so there's no comparison really. Obviously it’s great when you put in such a good performance in your first game and the team wins, but the focus is now on Slovakia."